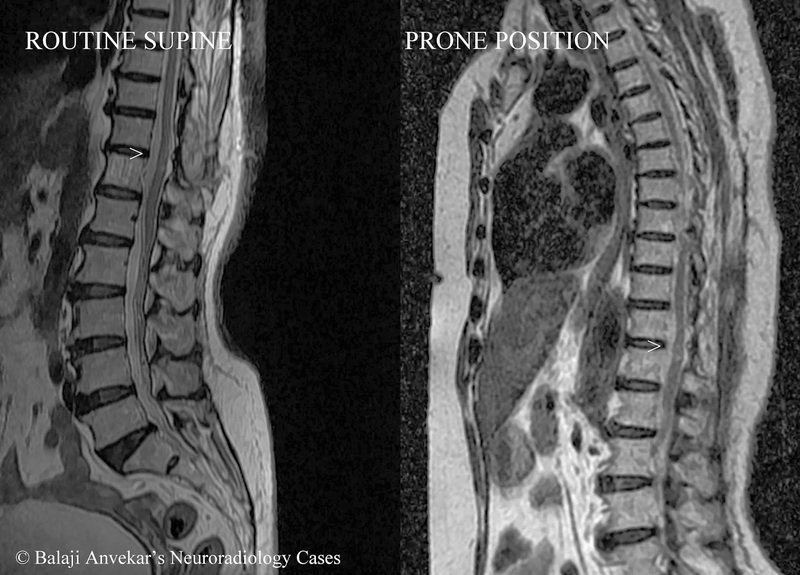 A post operative case came for follow up imaging. Clinical details not available. E/o laminectomy, faint intra medullary T2 hyper intensity of focal cord Gliosis. Focal posterior displacement of cord at laminectomy site. 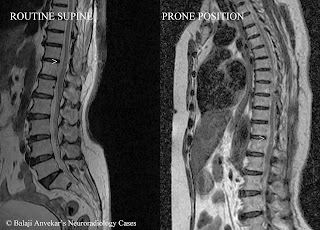 MRI repeated in prone position, cord is persistently seen displaced posteriorly at laminectomy site _ possible with adhesion or herniation.